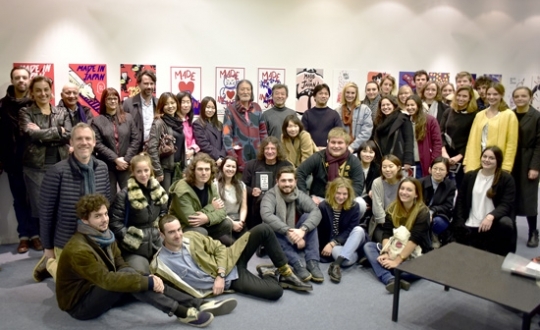 Our 5th year Masters Degree students, mentored by their design professor Michel Bouvet, were invited to participate in the Graphic Design event held in Echirolles. 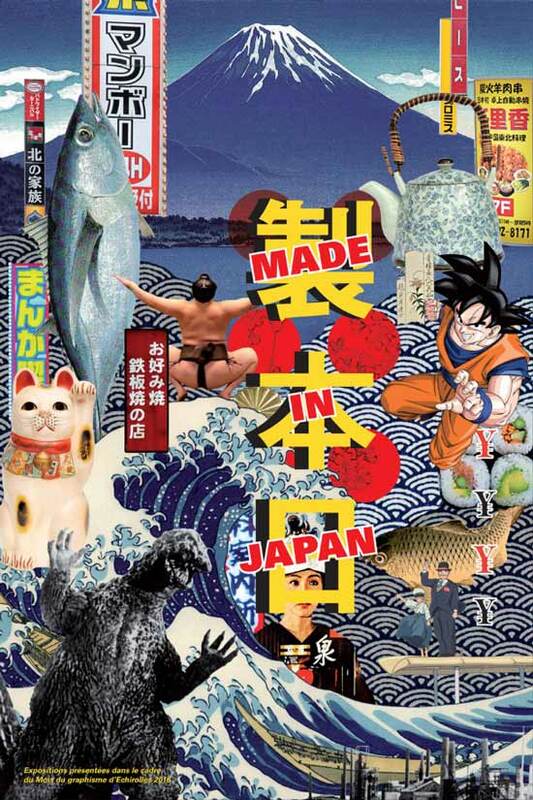 The theme this year was Made in Japan, presenting a wide selection of Japanese graphic design, both past and present, and a diverse range of materials (posters, magazines, packaging, videos and sequence titles), sometimes rare. 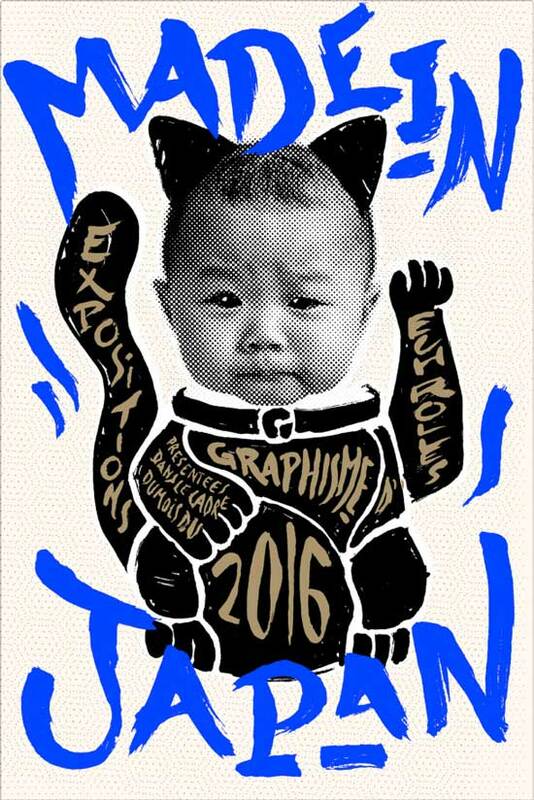 Our students, along with 14 other design schools in France and abroad, took part in the « 20/20 design schools celebrate art and design » exhibition from November 2016 to January 2017. Located at the La Rampe theatre, it was not only an exhibition space but also a place to exchange views and experiences, notably for great figures of Japanese graphics such as U.G Sato and Hiroki Nagai. The exhibition presented a selection of 38 posters created by our 2016 graduates. 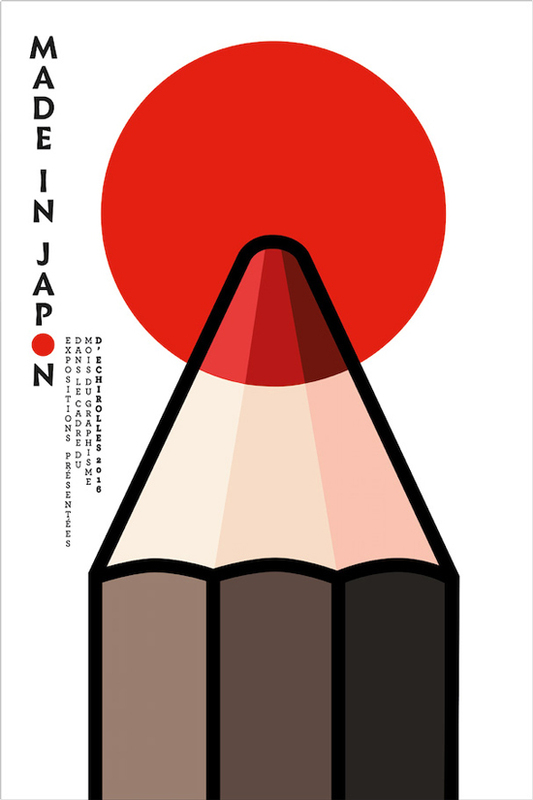 Diego Zaccaria, director at the Centre du Graphisme, Jean-Marc Vidal, director of the K.Yacine library, and Michel Bouvet, exhibition curator, as well as the participating Japanese poster artists, praised the quality of the work on display.